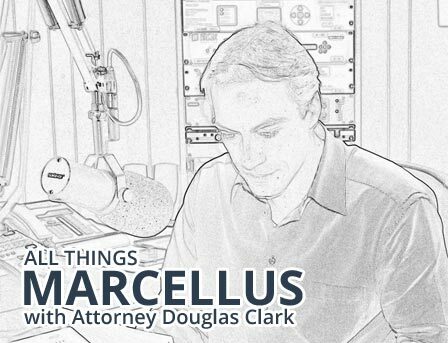 I wish to thank all of you from the Clark Law firm (Marceea/Vanessa and Doug) for your outstanding performance on providing me a quality service on time. I feel good about what we have put in place. I wish to list all the Positives you people have provided NOT by priority. 1. Understanding my values about my property. 4. The ability to explain to me specific issues in the contracts. 5. An understanding of the current market place. This applies to pricing and wording of the contracts. 6. Making me Money on several issues that I would not have seen. 8. The fact that you know this inside and out and do not deal with other legal stuff. Several of the lawyers I have dealt with in the past take for ever and continuous call them to get things done. 10. Taking care of my Void Lease with Cabot. 11. Not having to travel to you office and going over issues. I hate to spend time traveling. Negatives: You did not come here see the property/Go swimming and see my cows. Thank you so much.